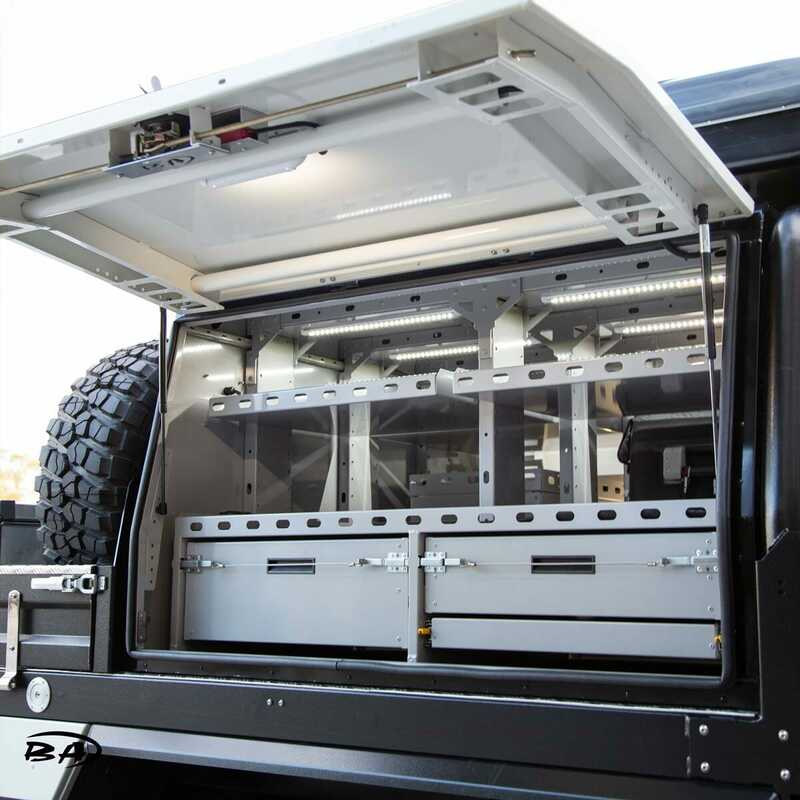 Boss’ standard canopy is a solid base on which any vehicle platform can be built. 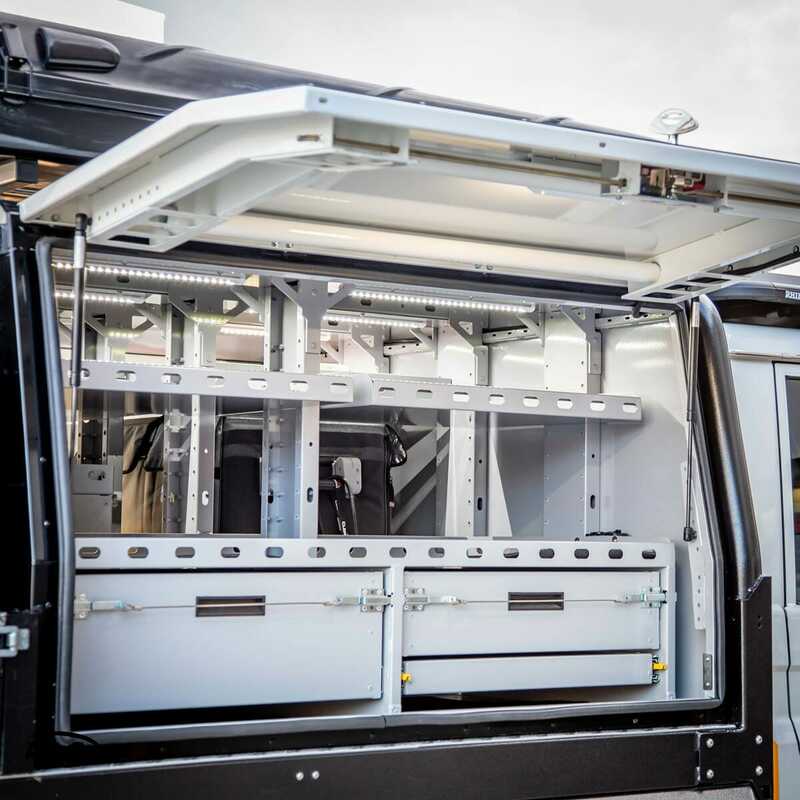 They are configurable with features such as adjustable shelving, drawer systems, electrical systems, fridges, mobile kitchens and roof-racks. 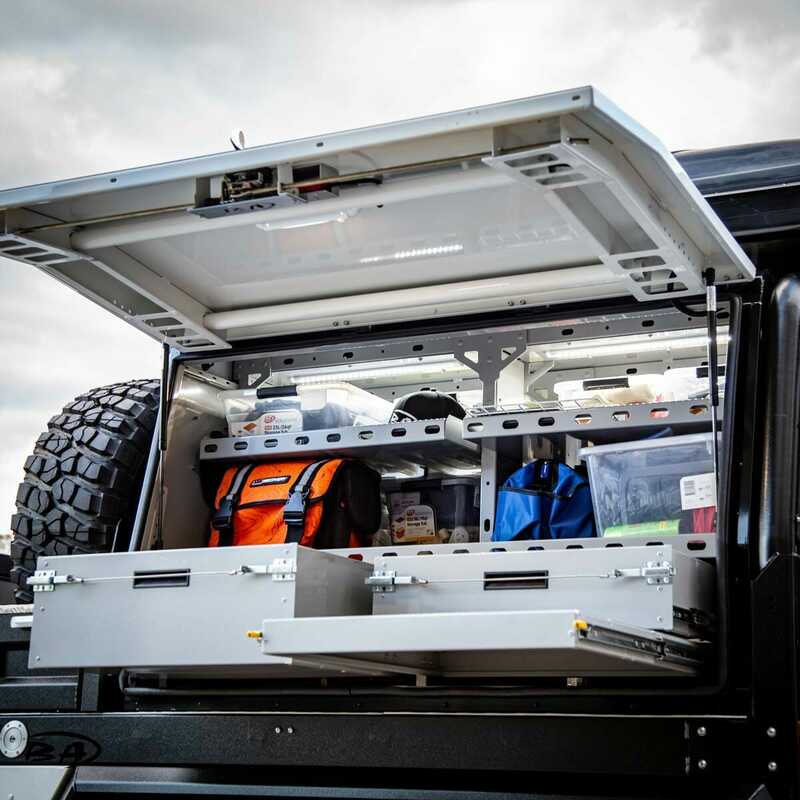 Designed to keep equipment safe and secure, every boss canopy is set to impress. All Boss Aluminium products are completely customisable to individual requirements and delivered with a Lifetime Guarantee on workmanship and materials. Dimensions are all configurable to suit any vehicle.